The heartbreaking news about Cecil the lion continues to haunt me. It isn’t just the immorality of seeking out and killing magnificent endangered species of wild animals for ‘game’, it’s also the general lack of reverence for animals and nature, prevalent in today’s society, which I find so depressing. Who’d think to dye baby chicks neon colours and then seal them inside plastic bags to sell as toys? Closer to home, I’ve just stood and watched a motorist swerve his car across to the opposite side of the road outside my house to deliberately run over a female blackbird that was foraging for insects in the verge! I’ve been teetering on the brink of eliminating all meat from my diet for a long time, but a constant stream of ugly events, symptomatic of a worldwide epidemic of insensible violent acts against the environment, other people and animals, have pushed me over the edge. It isn’t just a question of killing animals for sport. Whilst ever beautiful vegetarian food is available, why raise innocent sentient beings and subject them to systematic cruelty, mutilation and suffering before destroying their bodies in an industrialised slaughterhouse designed to kill 200 animals per minute? Just to eat? What for? The fact is, an abundance of delicious, healthy, life-giving vegetarian food IS available, so what need is there to continue the very crude, primitive, uncivilised behaviour involved in destroying a body to eat its flesh? If you think this is okay, why not eat dogs, cats and horses? Or, to take the okay-ness and disconnected-ness of killing unevolved animals for food to its logical conclusion, it's just another step away from killing evolved animals for food, a.k.a. cannabilism. Enough now. Primal Plate is committed to sharing recipes that are more in tune with compassion, beauty and love - how life should be lived - rather than the inhumane behaviours associated with eating factory farmed meat. Sir Paul McCartney sums it all up: "If anyone wants to save the planet, all they have to do is just stop eating meat. That's the single most important thing you could do. It's staggering when you think about it. Vegetarianism takes care of so many things in one shot: ecology, famine, cruelty”. Primal Plate wants to pave the way for healthy, nutritious, vegetarian, Primal-friendly alternatives to meat that won’t compromise on your foodie sensory pleasure. Quite the opposite in fact. Vegetarians all too often turn to grains and legumes to pack out their meals, but unfortunately these foods contain anti-nutrients, are pro-inflammatory and can ultimately make you fat and diseased. All Primal Plate recipes are created without the unhealthy ‘bad boys’ - grains, legumes, refined sugar, processed seed oils - but look equally as good, and often taste much better, than their gluten, lectin, trans-fat riddled counterparts. Making meat-free meals is aesthetically more appealing because vegetarianism respects life and doesn’t disconnect people from the suffering caused by them consuming “corpse and two veg”. These meat-free, vegan Nutburgers are serious contenders for the best of alfresco or BBQ fare. With a full-on savoury taste profile and a better texture than ground beef or lamb, they might easily be confused with ‘sausage-burgers’ for uninitiated carnivores. Keep the Primal/Paleo ethos intact by ditching the burger bun and wrapping them up in the biggest, freshest raw savoy cabbage leaves you can find. Top with your choice of dressing - tomato ketchup (is sort of obligatory), homemade mayonnaise, or spicy chutney. Serve with sliced tomatoes, avocado and a handful of micro-leaves for a lovely-looking, very filling, nutrient-dense, moreish burger that doesn’t hurt or harm any animal - a conscious lifestyle change that doesn’t add to the pain and suffering in this mad world. Walter Palmer-ites, take note! In a large pan, gently sauté the onions and celery in the butter (or vegan alternative) for 10 minutes until they are soft a just turning golden brown. Add the chopped mushrooms and cook for a further 5 minutes until soft and most of the liquid has been driven off as steam. Mix in the banana flour and cook for a further minute. Pour in the water and stir continuously over a medium heat until thickened. Add the stock powder, ground flaxseed, tamari, yeast extract, mixed nuts, ground almonds, fresh herbs and salt and pepper to taste. Allow the mixture to cool before proceeding to the next step. Tip extra ground almonds onto a large flat plate in readiness for coating the burgers. When the burger mixture is cool enough to handle, form into 12 burgers - about 6cm (2½”) wide x 2 cm (¾”) thick, weighing approximately 100g each. N.B. Don’t make the burgers much bigger than this because they’re easier to manoeuvre and turn them over in the pan (without breaking up) if they’re smaller and more compact. Coat the burgers in the ground almonds and place onto a clean plate. Cover loosely with cling film and store in the refrigerator until you’re ready to start cooking. Cook on a lightly oiled flat tin (or frying pan) over the barbecue. Alternatively, if you’re not firing up the barbecue, gently fry the burgers in a little olive oil in an oven-proof frying pan over a moderate heat for about 3-5 minutes on each side, until lightly browned. Then place the frying pan in the oven (pre-heated to 190℃) for a further 8-10 minutes to heat through completely. We topped the burger with ketchup and mayo, slices of tomato and vegetarian mozzarella and some pretty micro leaves, before wrapping around the savoy cabbage leaf. Knives and forks not needed! The easiest, quickest and least messy way to finely chop the mixed nuts is in a food processor. Ditto the mushrooms and fresh herbs. To make this recipe suitable for vegans, I used ground almonds for coating these burgers. However, if you eat eggs and you have some 2-3 day old leftover Grain-free Bread vegetarians can convert this into panko-style breadcrumbs for a crispier coating. Pre-heat the oven to 140℃. Cut about 150g of grain-free bread (including the crust) into cubes. Using the coarse grater/shredding disk of a food processor, push the bread cubes through the feeder tube to make coarse crumbs. Spread the crumbs out onto a baking sheet in a single layer and bake for about 15-20 minutes until they are dry but not browned. Tip: To ensure the crumbs bake evenly, take them out of the oven every 5 minutes or so and turn them over with a spatula, then give the tray a good shake to level them out again before continuing with the cooking process. When the crumbs are completely dried-out (crispy but not toasted) remove them from the oven and allow to cool. The burger mixture can be made 2-3 days in advance and kept covered in a refrigerator. 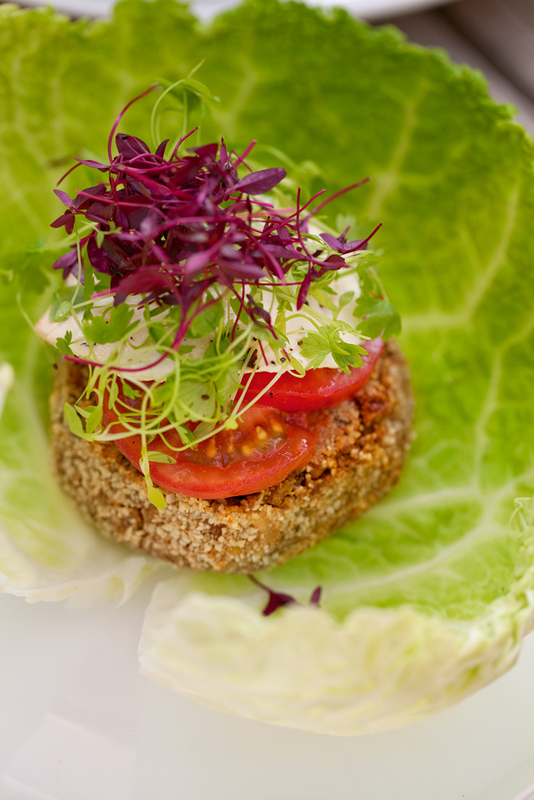 It can then be shaped into burgers and coated with ground almonds/dried breadcrumbs the day you intend to eat them. 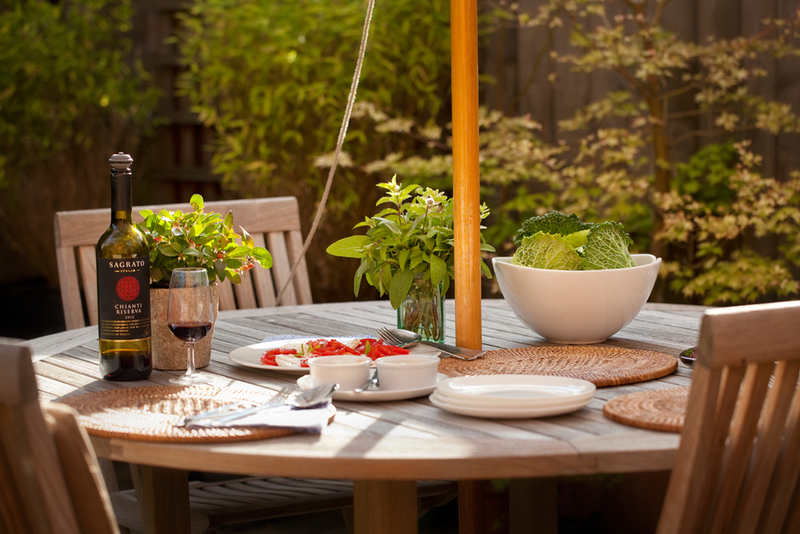 Good food, wine, a generous tomato and vegetarian mozzarella salad and our nutburgers are the perfect partners for chilled-out al fresco dining. This week was the start of Wimbledon (think strawberries and cream) and culminates in Independence Day (Saturday, 4th July) - think, ‘Happy Birthday’, to my beautiful daughter, Sarah! After that Mirror Imaging is into a run of photoshoots and weddings on five consecutive weekends that will keep us both busy until the end of September. So with that in mind, I really wanted to make an extra special summer birthday ‘cake’ for Sarah, not only to celebrate her birthday but also the last of our leisurely weekends for the foreseeable future! Today, I am so excited to be able to bring something completely new to the party - a delicious summer fruit tart made with tiger nut pastry. “Tiger, erm what?”…I hear you say! Q. When is a nut not a nut? A. When it’s a tiger nut! Tiger nuts, also known as ‘earth almonds’ and in Spain, ‘chufas’, are the sweet, brown, nutty, ‘super’ tubers of the sedge plant (a stubborn, weed-like grass), which is grown and harvested like potatoes. And, they are incredibly good for you. Truly Primal/Paleo (our early human ancestors used to forage and feast on this nutrient dense wonder food), tiger nuts have a nutritional profile that really holds its own against red meat, olive oil and even human breast milk. In fact, tigernut milk (recipe for Spanish style ‘Horchata de Chufas' coming soon) is the healthiest substitute for dairy milk because it is rich in monounsaturated fat and does not contain inflammatory omega-6 fatty acids like other nut milks do. Tiger nuts are also full of dietary fibre, particularly resistant starch, are high in minerals (magnesium, phosphorous, potassium, calcium and iron) and Vitamins C and E. Sounds to me like the under-utilised tiger nut might well be the answer to 795 million people around the world still struggling with hunger and malnutrition! And, in modern society, where people are often overfed and under-nourished, research suggests that tiger nuts can help reverse or stop the progression of degenerative diseases such as diabetes, heart disease, circulatory problems, digestive disorders, autoimmune diseases and some cancers, including colon cancer. I’ve only just re-discovered tiger nuts (they were sold as sweets when I was little) as part of my ongoing search for grain-free, gluten-free and now nut and allergy-free alternatives to grain flours. To say I’m chuffed with the way my chufa pastry lined Summer Berry & Lemon Cream Tigernut Tart worked out, is an understatement! This new kid on the block for lovers of Primal/Paleo treats, ticks all the boxes for healthy, nutritious food that makes you glad to be alive - indeed a little bit smug - because who would guess that this gorgeous Summer Berry & Lemon Cream Tigernut Tart would be entirely compatible with a low-carb, refined sugar-free diet? When cooked, this tigernut pastry has more the taste and texture of a biscuit cheesecake base than it does shortcrust pastry per se, but I like this. As pastry goes, it’s very user friendly. It rolls out like pâte sucrée (French name for sweet shortcrust pastry) and was incredibly well behaved when I lined the flan case - although a chunk fell off one edge when I lifted my rolled pastry disk off the work surface, it was easy to patch up and press everything back together again with my fingers, once it was in the tin. Best of all, because tiger nuts are naturally sweet, you don’t need to add sugar or other sweeteners. I’ve been wanting to devise a recipe for Primal cheesecake for some time, so when I do I’m certain this recipe will double-up, adapting itself to both sweet tarts and cheesecakes beautifully. Meanwhile, I hope you’ll make the most of summer’s juiciest berry-fruits in this exceptionally lovely looking tart - I think summer celebrations will be the sweeter for it. Grease the base and sides of an 8 inch loose-bottomed fluted flan tin with melted butter. Combine the tiger nut flour, baking powder and vanilla essence in a bowl. Mix in the melted butter, then add the beaten egg and stir with a fork to combine. When roughly combined, abandon the fork and bring the mixture together with your hand to achieve a firm but moist dough. Roll out to a round thickness of 3mm-6mm between two sheets of plastic cling film (to avoid the dough sticking to your worktop or rolling pin). As you roll, turn regularly to achieve an even round shape that is approximately 2½cm/1” larger than the circumference of your tart tin (this allows for the sides of the tart). Prick the base of the tart all over with the prongs of a fork. Bake for about 12-15 minutes, or until lightly browned and crisp. Leave to cool completely in the tin before transferring to a serving plate. Put all the ingredients into a bowl and whisk until the mixture thickens and will stand in soft peaks. Cover and store in the refrigerator until you’re ready to assemble your tart. Not more than an hour before serving the tart, place the pastry case onto a serving plate. Spoon the lemon cream filling into the tart case and spread out evenly. Arrange the fruit attractively on top of the lemon cream filling, then garnish with sprigs of fresh mint or lemon balm. Although this tart looks like ‘fancy-pants’ French patisserie, please do not be intimidated by the recipe. Rolling out the pastry and lining the tart tin is the only challenge - and only then for the novice cook. Everything else is quick and easy to do - including making the pastry and assembling the tart. If you need to, just follow the photographs for how to arrange the fruit topping. I suggest you make a batch of yummy Primal Lemon Curd up to several days in advance (in readiness for the lemon cream filling) and store (hide!) in the refrigerator until you’re ready to assemble your tart. I like the visual treat of using several different types of summer berries as the topping for this tart - and the particular selection I’ve chosen all marry well with the lemon cream filling. However, just one type of fruit (blackberries, cherries, sliced peaches, apricots, etc. ), or any combination you like, will work. Just select the sweetest, juiciest and most visually appealing fruit you can find. Refrigerated in an airtight container, this tart still eats really well the next day.